Rachelle Burk remembers her long and boring family seders from when she grew up in New Orleans. But after her mother’s death when Burk was 10, her father remarried and added two irreverent stepbrothers to Burk’s family of four siblings, and he put the children in charge of the second seder. The latest of her eight books — not all of them Jewish-themed — is “The Best Four Questions,” based on those memorable childhood experiences, bringing a humorous twist to the traditional questions recited by the youngest child. The book, for children ages 3-6, was released Feb. 1 and selected for distribution by PJ library, the national partnership program of the West Springfield, Mass.-based, Harold Grinspoon Foundation, which provides books and CDs of Jewish content to families with children through middle school. The Jewish Federation in the Heart of New Jersey is a partner agency and co-sponsored Burk’s PJ Library appearance at the East Brunswick Jewish Center on April 7. 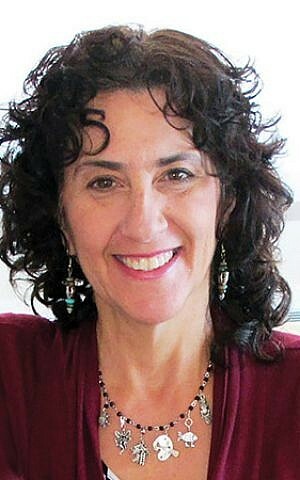 Burk said 29,000 copies of her book have been sent out nationally in advance of Passover by PJ Library. 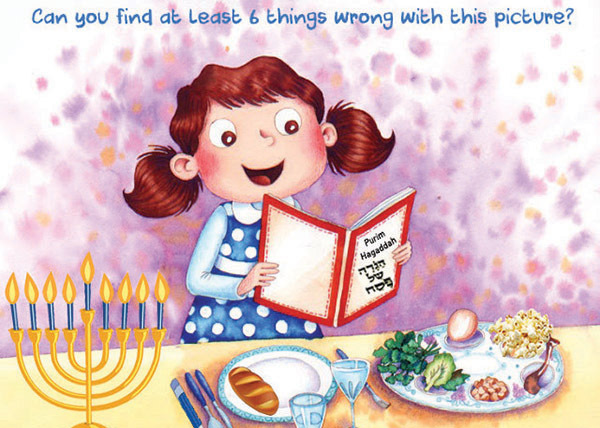 A page from Rachelle Burk’s latest book, “The Best Four Questions.” The book was selected by PJ Library for distribution across the country ahead of Passover. In the book, illustrated by Mélanie Florian, the main character, Marcy, comes up with her “best” four questions. Her creative inquiries include: Is horseradish made from horses? How many matzah balls are in grandma’s chicken soup? Are worms kosher? Why does Uncle Benjy always fall asleep during the seder? 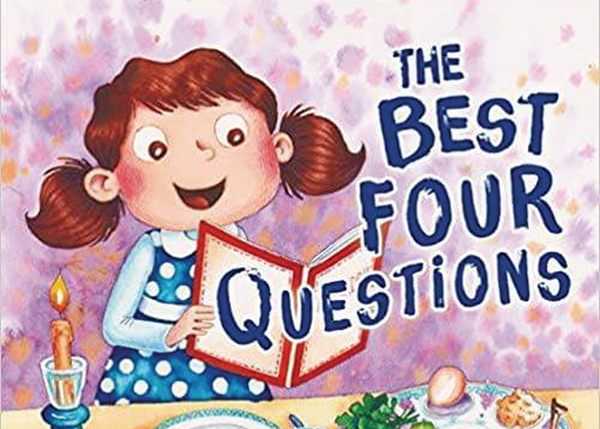 “The Best Four Questions” is Rachelle Burk’s eighth children’s book. Burk did not set out to be a writer. She earned a bachelor’s degree in psychology from Louisiana State University and came to New York City to earn a graduate degree in social work from Hunter College. She spent 25 years as an emergency room crisis intervention social worker, and was a psychiatric social worker at Raritan Bay Medical centers in Old Bridge and Perth Amboy before retiring two years ago. Burk has also worked as a professional clown and she conducts writing and creativity seminars in schools for students from pre-K through eighth grade. “We have lively seders with discussions that are so much more interesting” than a traditional seder, she said.